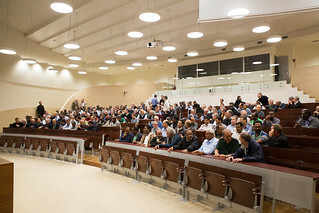 On Friday, October 28, members of GC 36 visited the Pontifical Gregorian University in Rome, and met with the Jesuits engaged in the consortium of universities, which include the Gregorian, the Pontifical Oriental Institute, and the Pontifical Biblical Institute. 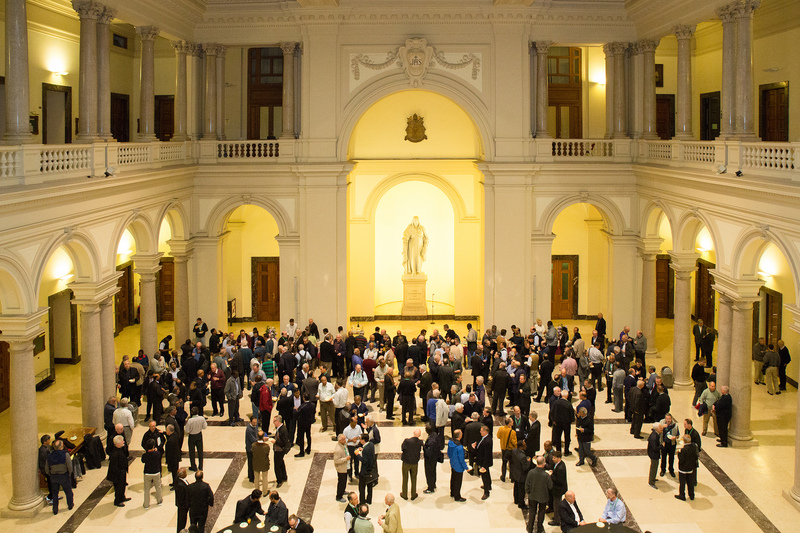 Saint Ignatius de Loyola laid the foundations of the Gregorian University when he established, in 1551, a “school for grammar, humanities, and Christian doctrine.” The school soon developed into a university center, which came to be known as the Roman College. 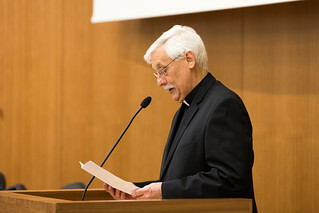 In 1873, after the restoration of the Society, Pope Pius IX proposed that the name be changed to the Pontifical Gregorian University, in honor of his patron, Pope Gregory XIII. 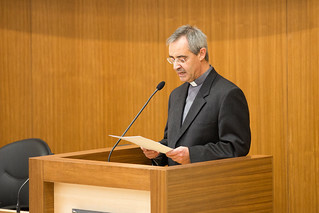 This service to the universal Church is evidenced by the fact that among former students of the Gregorian, there are 25 saints, 53 blessed, and 16 Popes. 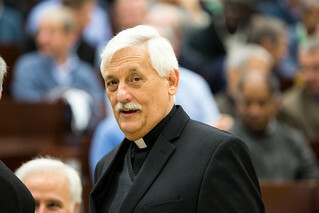 In addition, 32 percent of the College of Cardinals (73 of 227) and 22 percent of the worldwide Catholic Episcopate (1,107 of 5,020) are former students of the Gregorian. 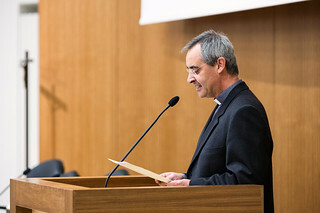 At the end of the last academic year, the Gregorian numbered 2,644 students from 120 countries or nationalities. 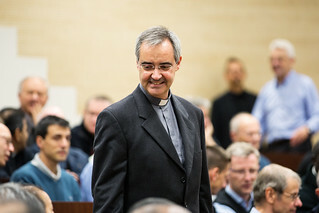 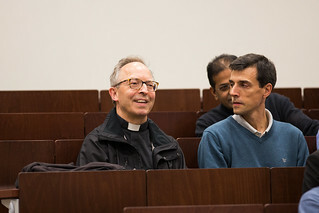 One hundred and twenty-six are young Jesuit students, whose formation, according to Father Nuno da Silva Gonçalves “is an essential dimension of our mission in Rome.” Among the 306 professors of the university, there are 86 Jesuits from 31 different countries. 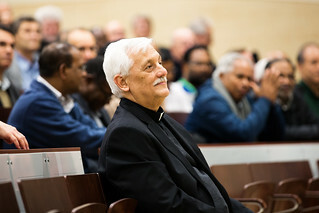 The Gregorian University comprises six academic faculties (Theology, Canon Law, Philosophy, History and Cultural Heritage of the Church, Missiology and Social Sciences). 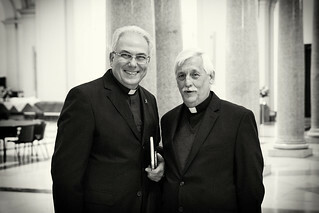 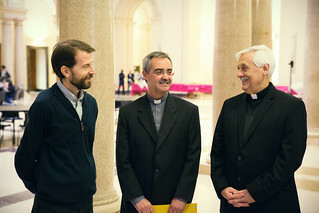 Additionally, it has two important institutes (psychology and spirituality), as well as six centers (Cardinal Bea Center for Jewish Studies, Alberto Hurtado Center for Faith and Culture, Saint Peter Faber Center for Formators of Priesthood and Consecrated Life, Ignatian Spirituality Center, Center for Child Protection, and Center for Interreligious Studies).